Today, we are celebrating Chinese cuisine with a very classic appetizer: spring rolls. Spring rolls are a literal translation of chūn juǎn (春卷) in Chinese. 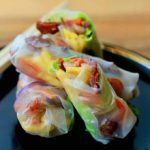 Although they are known all over the world as filling wrapped in some kind of dough, there are a number of spring roll recipes available throughout Southeast Asia and beyond. 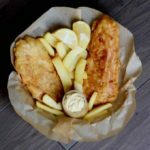 Every culture has some kind of food where meat or seafood and vegetables are wrapped in a type of dough. Why? 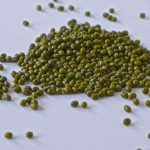 Simply because it is a convenient food for farmers, soldiers, hunters or fishermen to carry. Whether it is burrito, empanada, pastel, coca, or coxinha de galinha. Spring rolls probably originated in China a few centuries ago. Initially, spring rolls were seasonal snacks consisting of pancakes that were filled with spring vegetables. They were really appreciated after winter months were preserved vegetables prevailed. Indeed, their name comes from the Chinese tradition of serving them right after the Chinese New Year, which is also the first month of the lunar year’s spring. Chinese dishes, beside always featuring a harmonious combination of the five flavors, often offer deep symbolic meaning. Spring rolls are not an exception, as their golden cylindrical shape represents gold bars, which symbolize wealth. Prosperity for the new year! 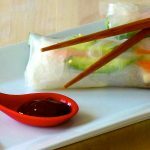 What are the different types of spring rolls? In China, spring rolls can be fried, or non-fried. The fried version is often filled with vegetables, such as cabbage and carrots, and can also include meat such as pork or chicken. 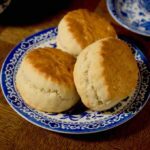 The fried version can also be savory or sweet. Spring rolls available in Taiwan, Singapore, Malaysia and Thailand include a version called popiah. In Taiwan, popiah are often topped with ground peanut before being wrapped. 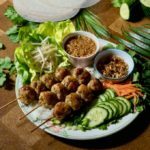 In Vietnam, the most popular version is a non-fried version called goi cuon or Vietnamese spring rolls, that are available in a vegetarian version, but that are also popular with cooked pork, shrimp or chicken. Goi cuon, also called summer rolls, fresh spring rolls (or vegetable spring rolls when they do not contain meat) in the United States, are wrapped in moistened rice paper (bánh tráng), and use herbs like cilantro and basil which give them a very unique aroma. 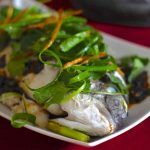 They are most often served at room temperature and dipped in nuoc mam (fish sauce) or hoisin sauce. The fried version, chả giò, also called nem cuốn, chả cuốn or nem rán, is also very popular in Vietnam. It contains ground or chopped pork, crab, shrimp or chicken and is wrapped in rice wrappers as opposed to flour-based wrappers like Chinese spring rolls. Although not as popular, you can find spring rolls in South Korea and Japan where they are called chungwon (춘권) and harumaki (春巻き) respectively. The other spring roll recipe that is quite popular in Southeast Asia is lumpia, that you can find in Indonesia and the Philippines. It consists of a filling of cabbages, carrots, bamboo shoots, green beans and leeks, and sometimes chicken, shrimp, pork or beef, which is wrapped in a thin crepe dough. It is larger than a typical spring roll, and is therefore often served pre-cut. It can be fried or non-fried. What is the origin of spring rolls? But when exactly were these delicacy created? 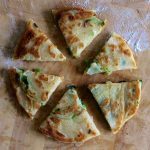 Before the Tang Dynasty (618–907), Chinese people used to make a type of thin flour-based pancake on first day of the Chinese new year. 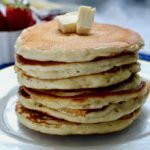 People would place these pancakes in a dish and top them with vegetables and fruits. This dish, called the ‘spring dish’ (春盘), was offered to family and friends as a spring present and were considered a blessing. During the Tang Dynasty, this dish was generally decorated with carrots and celery by the poor families, and included more ingredients in richer families. 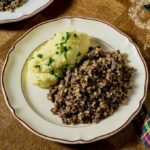 It started to be called the “five-spice dish” as five spicy ingredients like scallion and garlic started to be added to the fillings. During the Song Dynasty, the same dish was served in the imperial palace in even more elaborated versions. The Ming and Qing dynasties (1367–1911) saw the evolution of spring cakes, then rolled “spring dishes”, with similar ingredients. 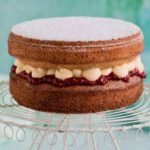 During this time, there was a custom of ‘biting spring’, which consisted of welcoming spring by eating spring cakes. This tradition was believed to repel disaster and evil. This is probably the most controversial question in modern Chinese cuisine. And everyone has a slightly different answer for it, because spring rolls themselves feature many different versions. 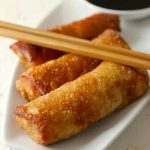 First, egg rolls are really a westernized version of spring rolls, that were made popular in the United States by Chinese immigrants. Egg rolls almost always include meat and vegetables, whereas spring rolls are generally filled with only vegetables and sometimes meat. 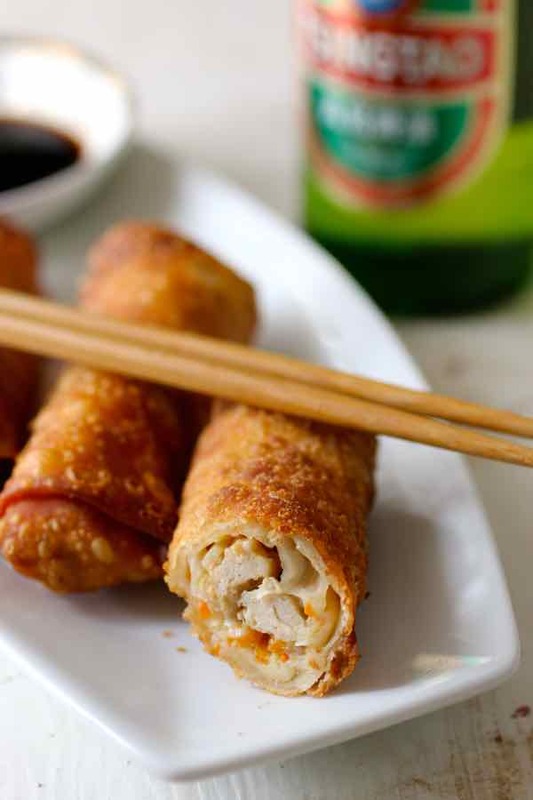 Egg rolls only exist in deep-fried versions, whereas we already covered the fact that spring rolls can be fried or not. Egg rolls are always made with wheat flour wraps, where spring rolls are made with wheat flour wraps (typically in Northern China) or rice flour wraps (typically in Southern China and Southeast Asia). Egg rolls tend to be larger and with a thicker crust, where spring rolls are generally smaller with a thinner crust. 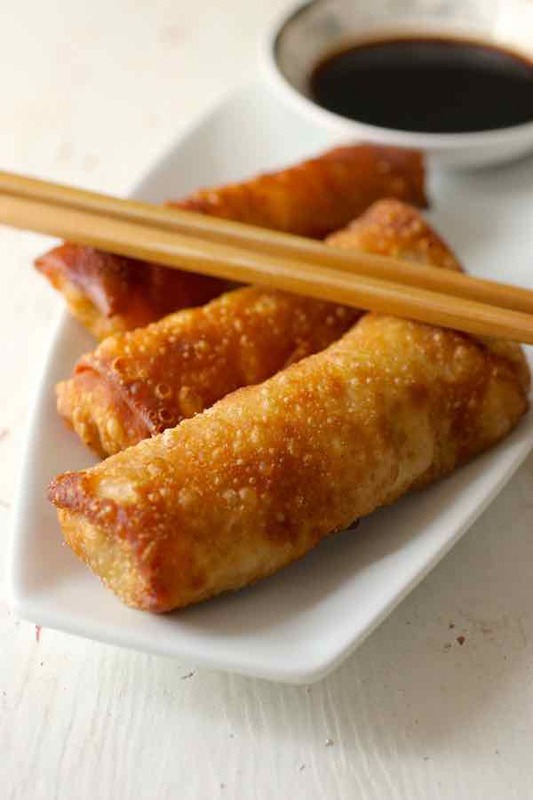 Egg rolls get their name from the fact that their dough initially contained eggs. Nowadays, most egg roll wrappers do not include eggs though. Talk about confusion! This is probably why egg rolls and spring rolls have been used interchangeably to designate the same appetizer in the United States for decades now. But we were so far talking about egg rolls as we know them in the United States. In China, egg rolls refer to the sweeter version. They are similar to a wafer that is wrapped into a cylinder. 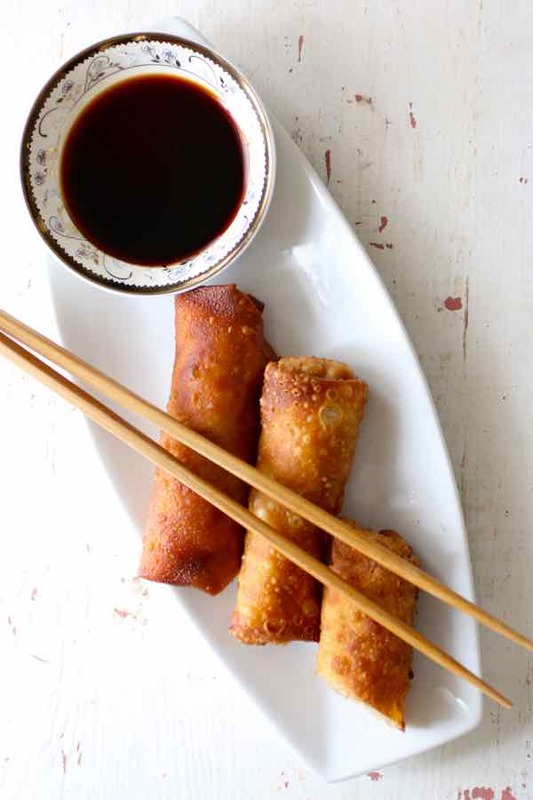 Spring rolls or egg rolls are usually best when dipped in a sauce. A number of traditional sauces include soy sauce as the main ingredient, like the one I decided to make. Others may include chili, or even be more on the sweeter side. In Vietnam, most of the traditional dipping sauces called nước chấm include fish sauce (nuoc mam) as the main ingredient. I made these spring rolls right after the Christian new year. Not really spring yet, but the Los Angeles weather was still not too bad to be considered spring in many other countries. Follow the detailed step-by-step instructions in the recipe and you too will master how to make spring rolls! Spring rolls are traditional Southeast Asian appetizers that can be served non-fried or fried. The fried version is also known as egg rolls in the US. Mix the chicken or pork with the marinade ingredients and set aside for about 30 minutes. Sauté the chicken (or pork) over high heat in 2 tablespoons of oil, and add the garlic, shiitake mushrooms and carrots. Stir fry for about a minute, and add the bamboo shoots, napa cabbage, and Shaoxing rice cooking wine. Continue stir frying for a minute. Lower the heat. Stir in the sesame oil, soy sauce, salt, white pepper, and sugar. Simmer for 3 to 5 minutes and stir in the diluted cornstarch to thicken the filling. Let filling cool for a few minutes in the wok or pan, then place into the refrigerator to cool further, at least 30 minutes, which will help firm up the filling and facilitate the wrapping. Place a wrapper on the countertop so that one of the corners is facing toward you. Use about two tablespoons of the mixture per spring roll, and place the filling about 2 inches from the corner that is closest to you. Roll it over once, and fold over both sides toward the center. Continue rolling it into a cylinder shape. With your finger, brush some of the cornstarch water onto the corner of the wrapper that is farthest from you in order to seal it. Repeat to make about 20 spring rolls and place each of them on a tray. Fill a small pot with vegetable oil. Heat the oil over medium heat until it reaches 350 F. Gently add the spring rolls one at a time, frying in small batches of 3-4 until golden brown, then transfer them to a plate lined with paper towel. Dilute sugar in hot water, then add soy sauce. Serve the spring rolls right away with the dipping sauce. Is there a good substitute for the wine used as being a Muslim I won’t be able to use it. Hey Fatima, you do not have to use the rice cooking wine. If you want a non alcoholic substitute, maybe rice vinegar? Enjoy! Looks like a great deal of work went intot his article and it is really educational. I would like to know more about the sweet and the savory flavors. 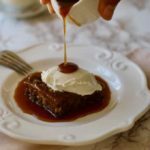 I am clueless about anything sauce and would appreciate being helped out understanding flavors and names of those ingrediants. I have begun playing around making spring rolls witht he rice paper (I’m not a fan of the other type of wrap) and sometimes I use cabbage leafes or grape leaves. Thanks, Bobbie. Yes, we do a lot of research before we write any article. What kind of questions do you have about sauces?